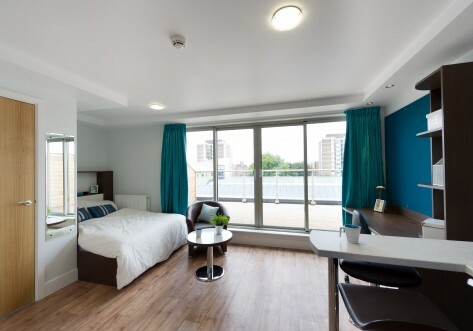 Located in Stockwell, close to Brixton and Clapham in South London there’s easy access for students to just about any London University, including UAL, Kings, Southbank and Imperial. 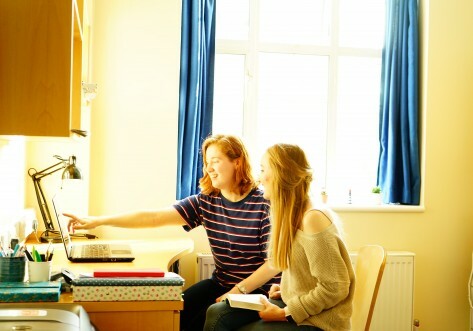 Each studio has an en suite shower room, smart kitchen area with breakfast bar and plenty of work space and many studios are IDEAL FOR SHARING with friends or in couples. 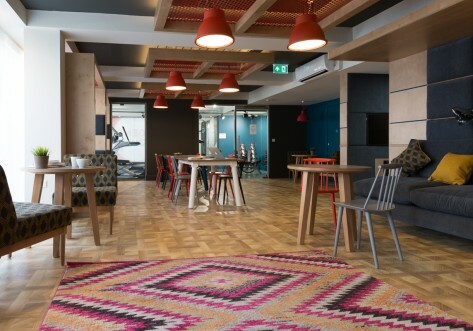 The vibrant SOCIAL SPACE and separate WORK ZONE are great places to meet up with other students or get your head down, and with a jam packed SOCIAL CALENDAR, there’s always something fun going on if you do want to get involved. The OUTDOOR COURTYARD is perfect for a nice, sunny day and there is bike storage too for somewhere safe to keep your two wheels! ALL BILLS ARE INCLUDED, as well as FREE WIFI and contents insurance, so budgeting for your expenses is easy. And with an ON SITE ACCOMMODATION TEAM, 24/7 SECURITY and ON SITE MAINTENANCE TEAM, you can enjoy total peace of mind that someone is always on hand should you need it. Nestled between bustling Brixton and cosmopolitan Clapham, Glassyard Building has a great location – close to live music venues, eclectic bars and clubs, and a huge choice of restaurants. Stockwell tube station is just a few minutes’ walk away, and being on both the Northern and Victoria lines means you can be on Oxford Street in just 10 minutes. Self-contained studio living starts here for you and perhaps your plus one. 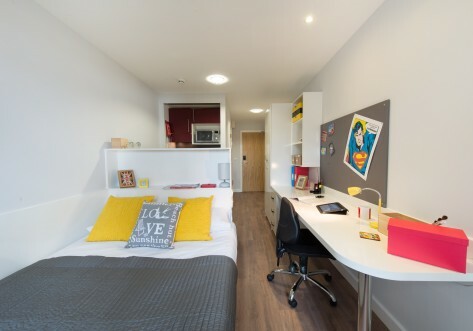 If you choose to share the en-suite shower room, small double bed, bags of storage, fitted kitchen and study area, there’s no more to pay. Rooms approx. 19m2. They don’t get any bigger than this at Glassyard Building. This beauty of a studio has all the same quality features and fittings and comes with space guaranteed. Ideal if you’re flying solo and like to spread out or there’s room enough for two to share at no extra charge. Check out our amazing offers on our website or give us a call for more information.